I vaguely remember picking up Hotel du Lac at a hospital bookshop, though I probably couldn't tell you why. I would imagine that I had heard good things about it from other bloggers that I followed at the time, which would probably go further in my mind than it winning the Booker Prize would. I suppose I wanted something a bit gentler after the cluster of awful that was Keeping It Real, and when one of the reviews calls it "a smashing love story" I had at least pleasant expectations. Hotel du Lac follows Edith Hope, a romance novelist who has been exiled by her friends after she commits a social scandal that has left all those involved humiliated. 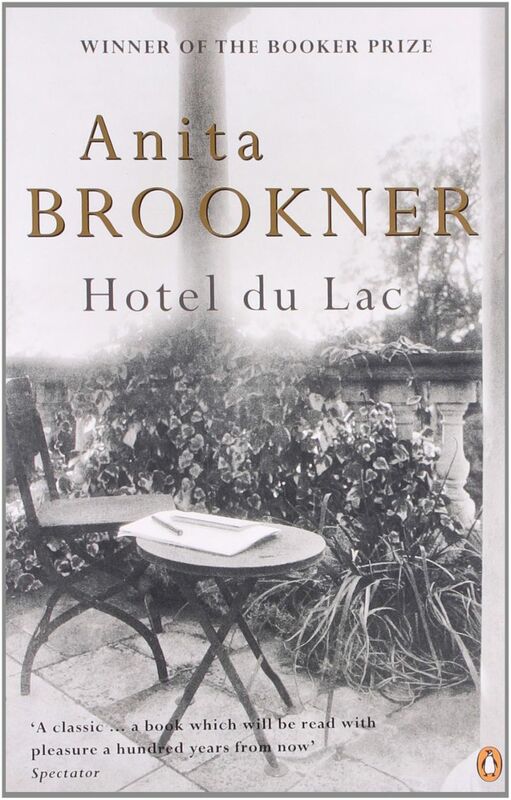 Retreating to the eponymous Hotel du Lac, she intends to take advantage of her arrival taking place out of season by powering through her current novel while she waits for things to die down at home. Without intending it, she is drawn into the personal dilemmas of the other out-of-season residents and finds herself re-examining who she is as a person. That quote I mentioned above about this being a smashing love story was from the Times. I am almost certain that whoever they got to review Hotel du Lac didn't actually read it, since this is most definitely not a love story. Unless it was a half-hearted attempt to try and define what it is genre-wise, since that is a bit of a tough question to answer. If I were to try and define it as anything, then I would call it a character study, although it is strangely static and timeless. I hear that there is a film adaptation by the BBC, but I honestly can't see that translating well to screen considering that almost all the actual development is in Edith's head. In terms of her behaviour towards her other guests, she is more or less treated like a sounding board throughout her stay as she plays the quiet and unassuming spinster. So to try and translate major alterations that play out in such an understated character must be difficult if not impossible. It felt weirdly like a long, protracted dissociative episode of Edith's, where everything feels both unreal enough that events must be happening to other people and yet grave enough that she must pay attention to see how it will affect her. I don't think I'm selling it particularly well, but I did quite enjoy it in a muted and kind of unsettled way. I think that if you have the patience to read it and mull over it a little, then you could get a lot out of it, if not necessarily in a way that you could describe with ease. I will just mention the gender politics, since that seems to come up as a negative point in some of the more recent reviews that I have found for Hotel du Lac. Edith comes out pretty quickly and says that she prefers the company of men to that of her own gender, which is why it frustrates her a little to find that most of her company both at home and at the hotel are female. And she slowly builds up a picture of her view of gender that is inherently combative: the interactions that one has with their own gender leads them to instinctively seek out company outside of that, and will generally lead to marriage. At one point she states that women bond over shared sadness, but will use happiness as a weapon against other women. I can definitely see why people find that an uncomfortable thing to read, especially given that it was written in the 80s and shouldn't we have known better by then. I would argue though that this is perhaps a little unfair. This is coming from a woman fast approaching her forties, constantly being told by her publishers that her protagonists need to be harder and edgier to better suit the ideal of the era, and constantly having to ward away attempts to set her up by her friends. She is being told on all sides that she does not fit the standards of an ideal woman and will therefore be doomed to loneliness. And given that our society is constructed in such a way that marriage is often perceived to be the ultimate goal for women, a stance propagated both by men and women, it must feel very much like she is under attack for the way that she lives. So while I don't entirely share her sentiments, I feel that it makes sense for her character and that she definitely has reason for thinking as she does.